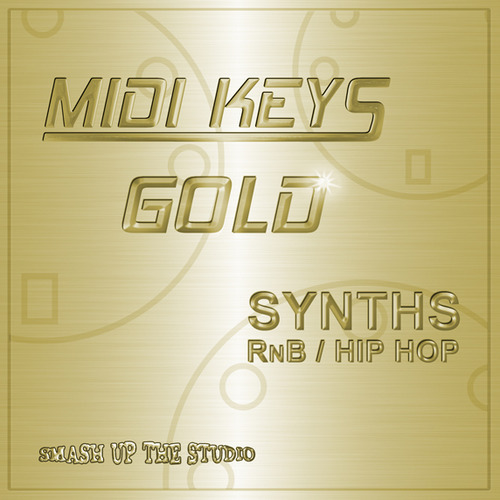 A brand new selection of RnB and Hip Hop Synth loops from Smash Up The Studio! More than 50 fantastic Midi loops including classic bendy Moog style riffs, wicked trance flavors and cool chord progressions perfect for strings, pads, pianos etc. Smash Up The Studio lets you be the producer with this hot new Midi Pack. All the loops are played and programmed to perfection, all you need to do is pick a cool sound! and of course with Midi you have full editing capabilities to really put your own stamp on it. These loops range between 4 and 8 bars in length and each file comes labelled with the original tempo when recorded. Highly contemporary this pack is an essential tool for producers of modern RnB and Hip Hop. Performed by Steve Burton exclusively for Smash Up The Studio. You can hear Steve Burtons keyboard work on many great RnB mixes, by artists such as Janet Jackson, Babyface, Jodeci, Sounds Of Blackness, B.M.U, Destinys Child, Lemar, to name a few.